Do we understand the major concerns of the Soviet people and their leaders today? 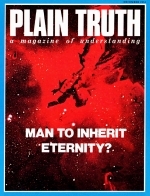 Plain Truth editors report surprises on a recent trip to the U.S.S.R. Here is the second and concluding part of their report. Yuri was only 16 years old, but intelligent and extremely well-versed on international affairs - from the Soviet point of view, of course. Upon finishing his special education courses in Moscow, he hoped someday to enter his nation's diplomatic service. We were introduced to each other while attending a Russian wedding party in Leningrad. For over an hour Yuri and I held a friendly and at times animated discussion of the world political scene. The longer we conversed, however, the more I was amazed to discover how totally different were our perspectives and fundamental viewpoints. We were both obviously the products - one is almost tempted to say the victims - of our respective educational and communication systems.